When sociologist and broadcaster Tom Shakespeare was a graduate student at King’s College, Cambridge in the early 1990s, he sent a request to a physicist who was on his way to becoming the most famous scientist in modern history. Shakespeare was part of a group organizing a campaign to raise awareness about the need for better access for students with disabilities. And he wanted Stephen Hawking in on it. Hawking, who died on March 14, is known for many things: his groundbreaking theories about black holes, his gift for communicating science to the public, his bestselling books and television appearances. He was also one of the longest-surviving patients with amyotrophic lateral sclerosis (ALS), living with the neurodegenerative disease for more than 50 years. The combination made him famous and something of an ambassador for the 1 billion people on the planet living with some form of disability. He demonstrated the complexity and individuality of disability, while shattering misconceptions about the levels at which people with disabilities can contribute to society. But despite his decades of living and working in the public eye, scientists with disabilities are still fighting to be counted equally in academia and to get the access they need to fulfill their potential. According to a 2017 National Science Foundation report, 12.6 percent of the US population—approximately 40 million people—has some form of disability. But they are underrepresented in science: People with disabilities make up only 8.6 percent of employed scientists and engineers and 6.1 percent of physicists. This is despite that fact that undergraduates with disabilities enroll in STEM majors at roughly the same rate—about one in four—as those without. And while only 3.6 percent of non-disabled people in science and engineering cite illness or disability as reason for not working, 34 percent of people with disabilities do, indicating that disability is still a significant barrier to employment. 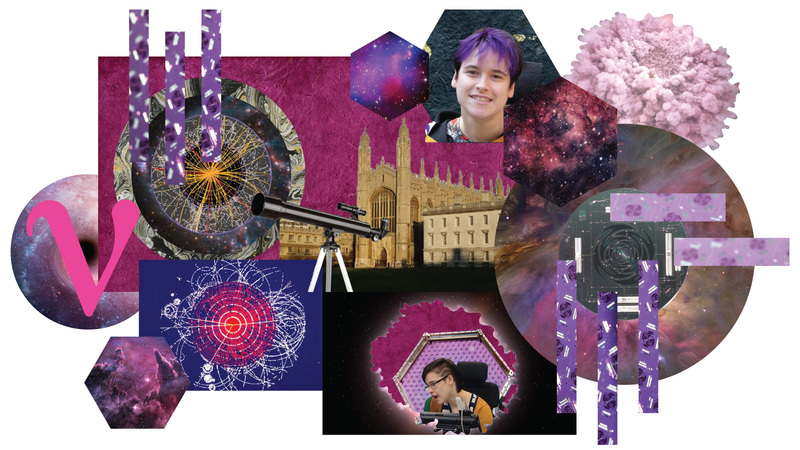 When physicist Claire Malone finished her master’s degree in 2014, she decided to do her PhD research at the University of Cambridge, with a long-term placement at CERN, the largest particle physics laboratory in the world. Malone has cerebral palsy, which affects her movements, speech and the use of her hands. She uses a wheelchair to get around and a computer to help her communicate. She says she found CERN to be very accommodating, but there were still limitations that made her work more difficult. Her off-site accommodation had a door she could not open from the inside without assistance, and while she had an accessible office to work in on-site, she couldn’t reach much of the lab’s campus. Physical accessibility is not the only issue. Born with limited sight, physicist John Gardner lost his vision entirely at 49 after what should have been a simple eye procedure. Throughout his career, he encountered numerous obstacles. For example, a commonly used tool in physics is an oscilloscope, which measures electrical signals over time. But oscilloscopes display these signals visually in a chart, which is essentially useless if you can’t see. 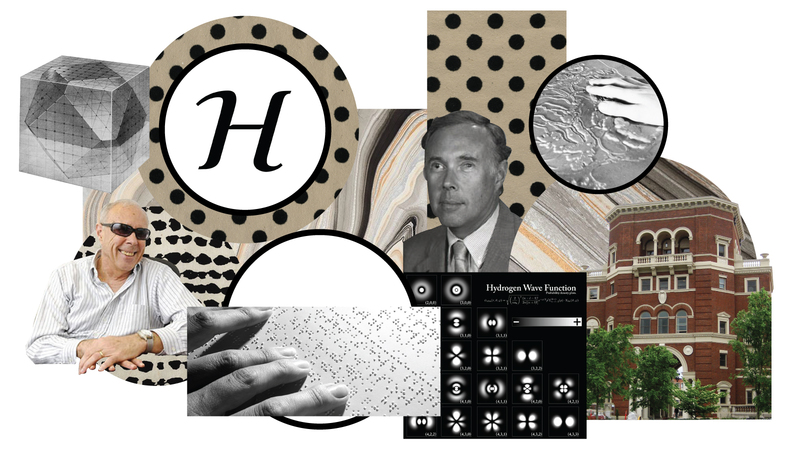 Graphical information is so crucial, and so entirely inaccessible for blind people, that Gardner founded a company to create tactile graphs, eventually retiring from physics to focus on the mission. Gardner, in other words, approached his exclusion from science by doing what scientists do best: creating solutions to seemingly impossible problems. Malone, too, devised workarounds to her challenges. “I think the biggest difficulty I have had to overcome in my physics studies is not being able to pick up a pencil and quickly scribble down a calculation,” she says. “Mathematics is the language of physics and most students develop an intuitive feel for how math ‘should work’ by ‘playing’ with equations on the page.” To make up for this, she developed a system of manipulating equations in her mind’s eye. And Schaal, now a mathematical physicist at Ludwig Maximilians University of Munich, invented a communication board when he was just 9. The Plexiglass board is covered with letters, numbers and mathematical symbols, which he looks at in sequence to spell out words and do math. Hawking himself had to constantly innovate: As both Schaal and Malone point out, his condition, unlike each of theirs, was progressive, meaning he needed to change his adaptations along with his changing body. But, as he demonstrated, day-to-day barriers need not impede a larger goal. It’s a sentiment that resonates with many groups who have been marginalized—“the centuries of blind people who have wasted away in sheltered workshops, institutions and rocking chairs across the world,” as Louisiana Tech Director of the Institute on Blindness Edward Bell put it—and it’s a core element of Hawking’s legacy. The authors of the WHO report noted that the global economy suffers when 1 billion people, nearly 15 percent of the world’s population, are relegated to the sidelines. Productivity suffers and tax revenue is lost, and the effects increase exponentially as family members take time off to care for loved ones who can’t work. One Canadian study estimated the cost at 6.7 percent of the nation’s GDP, a loss of around $100 billion in US dollars annually. The lab also recently began a project to create earmarked positions for students with disabilities as part of its internship program, to help the students develop necessary skills for employment while increasing diversity on the lab’s campus and in the broader pipeline of future scientists. Hawking, with perseverance, genius and bit of luck, lived his vast potential. He inspired untold millions, broke down barriers and changed minds about what is truly possible, both in the cosmos and here on Earth.